We are a government-authorized person for citizenship passport by investment in St. Kitts & Nevis in the Caribbean. We are licensed by the Nevis Financial Services Regulatory Commission (FSRC) registered agent for International Business Companies (IBCs), Limited Liability Companies (LLCs), Trusts and Foundations. St. Kitts Citizenship. JH Marlin's main office is in the beautiful Caribbean island of Nevis in the twin island country of the Federation of Saint Kitts and Nevis. Nevis, known also as the jewel of the Caribbean has great offshore laws. The St. Kitts Citizenship & Nevis Citizenship by Investment Program established in 1984 is the longest established program of its kind in the world. Establishing residency in a country may allow you to live, work and travel within your country of residence. A second passport issued by a citizenship by investment program can be a way of securing visa-free travel for a lifetime. JH Marlin is a proud supporter of the development of sports and Special Olympics Programs. JH MARLIN's clients range from individuals to international corporations. We apply an integrated and innovative approach to assisting clients across different practices and industries. We have done a wide range of legal work from conducting pro-bono work for the World Bank to advising on the acquisition of banks in the Caribbean. The Prime Minister of Saint Kitts & Nevis, Dr. Timothy Harris announced that over 16,000 Saint Kitts passports were issued under the Saint Kitts & Nevis Citizenship by Investment (CBI) program. The Prime Minister of Saint Kitts & Nevis also noted that the CBI program has been a significant source of revenue for the Federation with investments received contributing to housing & infrastructure developments on island. The Saint Kitts & Nevis Sustainable Growth Fund was introduced in April 2018. The investment contributions to obtain Saint Kitts & Nevis Citizenship by Investment starts at US$150,000 for a single applicant and US$195,000 for a family of four. There is also the option to obtain Saint Kitts & Nevis Citizenship by Investment by purchasing government designated real estate starting at US$200,000. 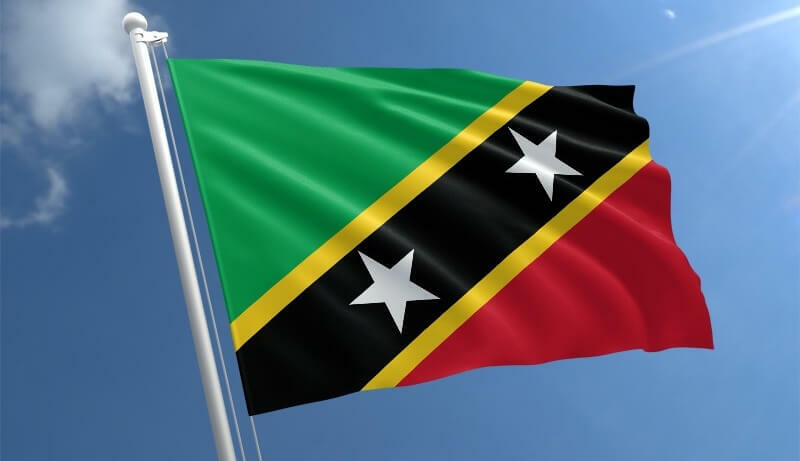 There were a record number of new Saint Kitts & Nevis citizens under the Saint Kitts & Nevis Citizenship by Investment program for 2018, according to the CEO of the Citizenship by Investment Unit, Les Khan. The Antigua Citizenship by Investment Program was first established in 2013. Citizenship can be obtained by an applicant upon approval by making an investment contribution into the National Development Fund (NDF) or purchasing Government approved real estate. The investment cost starts at USD 125,000 plus government fees. Advantages of Antiguan Citizenship include visa free travel to over 140+ countries, lifetime citizenship, tax neutral jurisdiction and family friendly place to live. There are a number of international schools and people have a relatively high standard of living. Antigua has one of the best options for applicants wishing to include family members in their application. Additionally Antigua is open to accepting cryptocurrencies as a form of payment for the program. Dominica’s Citizenship by Investment Program has been in operation since 1993. The Citizenship by Investment Program is one of the most affordable caribbean citizenship options for a single applicant starting at USD 100,000 plus due diligence and other fees. Dominica Citizenship offers visa free access to the UK and the EU with visa free travel to over 120 countries. Dominica has a warm climate year round and is one of the greenest islands in the Caribbean. The country has taken a strong stance on climate change and has banned common plastics and single use styrofoam cups. There are new hotels under construction aimed at attracting more tourists to the island. Grenada Citizenship by Investment Program program first began in 2013 and has proven to be very popular. It is expected that the citizenship program will be amongst one of the most popular Caribbean Citizenship programs in 2019. There are two very interesting features about the Grenada citizenship and passport which includes visa free access to China and the E2 treaty with the USA. Grenada Citizens can apply for an E2 visa which allows them the opportunity to reside, work and study in the USA. Unlike EB-5 holders, E2 visa holder do not have to spend long periods of time in the USA. Grenada citizenship can be obtained starting at USD 150,000 plus due diligence and additional fees. The St.Lucia Citizenship by Investment program started in 2015. It’s citizens have visa free access to over 120 countries which include Schengen area, United Kingdom, Hong Kong and Singapore amongst other countries. Of all the Countries that offer citizenship by investment, St.Lucia has the greatest population. There are a number of schools, restaurants, beaches, resorts and activities to accommodate the growing population. St.Lucia is often featured as a honeymoon destination and the airport will be undergoing major renovations to facilitate travel. The St.Kitts & Nevis Citizenship by Investment Program is the longest established Caribbean Citizenship by Investment Program and has been in operation since 1984. St.Kitts & Nevis is known for being the platinum brand and the most innovative Citizenship by Investment Program. A record number of applicants applied for St.Kitts & Nevis Citizenship in 2018 and it is anticipated that the St.Kitts & Nevis Citizenship by Investment Program will be the most sought after Caribbean Citizenship by Investment program in 2019. St.Kitts & Nevis Citizenship offers the most visa free countries with citizens having access to visa free travel to over 150 countries. St.Kitts & Nevis is a tax neutral country and is a great place to live. The St.Kitts Citizenship by Investment Program had a record performing year with over 3,000 citizenship by investment applications under the Hurricane Relief Fund. According to the CEO of the St.Kitts Citizenship by Investment Unit, over 50% of the St.Kitts Citizenship by Investment applicants were from China, 45% from the Middle East, and 5% from other countries such as Russia and the United States. The St.Kitts Citizenship by Investment program has been referred to as the most innovative citizenship by investment program and has seen a lot of media attention in 2018. The Sustainable Growth Fund (SGF) was established following the successful Hurricane Relief Fund whereby investor applicants can make a donation to the country and in turn obtain St.Kitts & Nevis Citizenship. The Sustainable Growth Fund was established to help support sustainable economic growth in St.Kitts and Nevis and further advance the Federations goals that are aligned with the United Nations 2030 Agenda for Sustainable Development. Investment into the Sustainable Growth Fund starts at US$150,000 for a single main applicant plus due diligence fees. There is also the possibility to obtain St.Kitts & Nevis Citizenship by investing in designated government approved real estate starting at US$200,000. One of the main features of St.Kitts & Nevis Citizenship is the ability to travel visa free to over 150 jurisdictions which includes: United Kingdom, Schengen area, Russia, Hong Kong and Singapore amongst other global destinations. St.Kitts & Nevis is a great place to live and is often featured in the news as one of the best Caribbean destinations for travel. Many people come to visit and decide that they would like to buy a vacation home or spend more time in the country. We are always happy to accommodate our clients and help them get familiar with the Island! "BASSETERRE, St. Kitts — In a much anticipated move to strengthen diplomatic relations with The Gambia, Minister of Foreign Affairs of St. Kitts and Nevis, Honourable Mark Brantley, and His Excellency, Dr. Mamadou Tangara, Minister of Foreign Affairs, International Cooperation and Gambians Abroad, agreed to waive visa requirements for entry into both countries by their nationals." The top travel destinations for 2018 have been released, with top-tier international media publication Bloomberg declaring St. Kitts and Nevis as “the place to go” for the New Year. The report was issued Jan. 2 and includes 22 locations in total. The two-island country in the East Caribbean is known widely as the first country to adopt a Citizenship by Investment Programme, a product that allows foreigners the chance to call the nation their second home in exchange for a donation to the nation’s future. The islands are considered one of the most accessible in the Caribbean, assisted by direct flight paths, including the hubs of New York, London, Toronto and Miami. Prestige brands including Marriott and Hyatt are among a long list of luxury accommodation options, with Park Hyatt recently opening a 5-star establishment complete with spa facilities and private roof-top swimming pools. Tourism is a budding industry for the twin-island nation of St. Kitts and Nevis, and is assisting in the strong economic forecasts delivered in the country’s recent budget. The nation’s popular Citizenship by Investment Programme is also a large contributor to the country’s increasing prosperity. Investment in real estate is also an option for citizenship, with applicants to the Citizenship by Investment Programme wishing to capitalise on the increasing number of visitors to the island. Advantages of Residency – Why Panama should be on your radar! Many people do not realize the benefits of obtaining residency in a foreign country. Residency allows you to live, work and travel within your country of residence. It is easier to open bank accounts, buy property and invest among other things. In several countries obtaining residency is your first step to eventually obtaining a second passport from your new country. While many countries require that you live at least 183 days per year within the country in order to qualify for residency, this is not the case in Panama. Panama offers one of the easiest and quickest ways to obtain permanent residency along with a potential path to obtaining a second passport. Panama is considered one of the ideal locations to retire due to its tropical climate and beautiful landscape. One of the main advantages of establishing residency in Panama is that all income earned outside of Panama is exempt from taxation. There is a facility to do business as Panama City is the largest offshore and regional banking centre in Latin America. The country has a rapid rising economy and is a suitable for up and coming entrepreneurs. In May of 2012, former President Ricardo Martinelli issued a Presidential Decree 343 declaring that citizens of 22 friendly nations could apply to become permanent residents in a fast track manner. Since then, other Decrees have increased the number of friendly nations to 48. In order to obtain a permanent residency visa, citizens of friendly nations must establish professional or economic ties with the Republic of Panama. This can occur when an applicant either owns a Panama Corporation or a Panama company which does business in Panama or when an individual is hired to work for a Panama company. Proof of economic solvency is also another requirement. It is important to take advantage of options that are available to you while they still remain available. Rules and laws are always changing when it comes to residency and citizenship. Contact us for additional information including a copy of the detailed friendly nations residency program. A visa free waiver was signed between St. Kitts & Nevis and Russia allowing citizens of St. Kitts & Nevis to travel to Russia for up to 90 days without a visa. Likewise, Russians are allowed to travel to St. Kitts & Nevis visa free for 90 days. The signing of the agreement is significant demonstrating the Federations commitment to bilateral relations between both countries. The visa free is effective late November 2017.